Hey there. I have a fun page to share today. It's a reveal for both ScrapStuff'z Inspired by and also Child's Play Challenges. Kinda crazy, but my page is a bit of both. 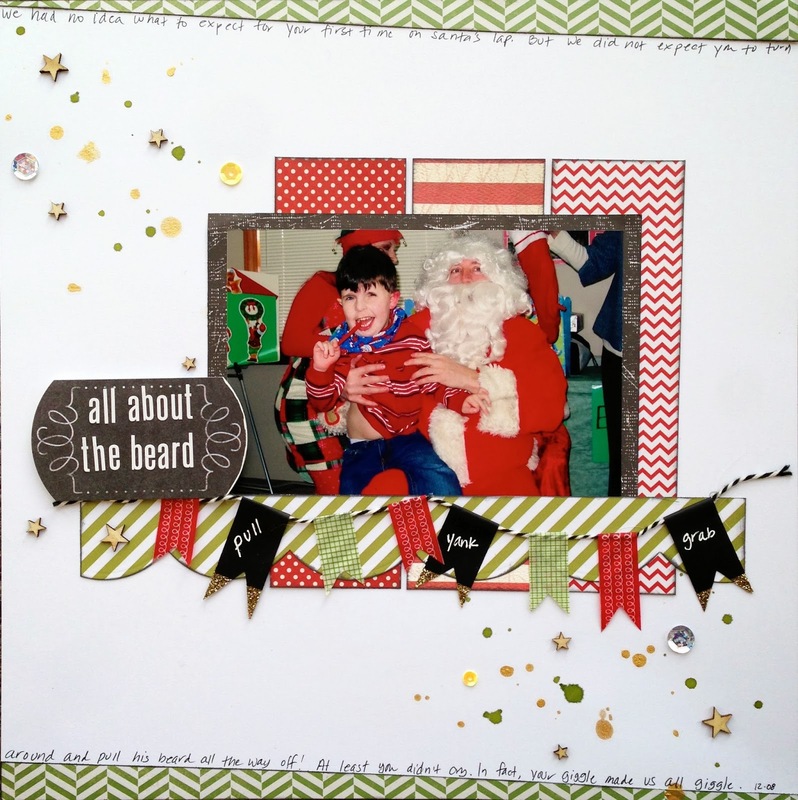 We have a really fun photo to get you going at ScrapStuff'z Inspired by . And the inspiration for Child's Play Challenges is Rudolph the Red Nosed Reindeer! How fun is that photo? Crazy lights everywhere. And what did I do with it? I went traditional! I don't often do Christmas pages at all. So, when I see Christmas lights, I think of Christmas and all the red, green and trimmings that go along with it. While I was thinking about Christmas, I thought about how my parents always let my sister and I watch the Christmas TV shows. Rudolph was my favorite. I actually identified with Rudolph. As someone who didn't celebrate Christmas, I always felt different too! 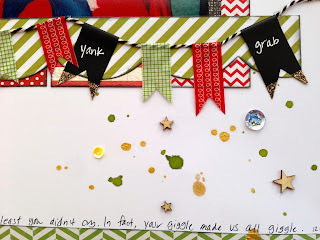 I came across this photo, and voila, a Christmas page inspired by both challenges! I only used scraps for this page in traditional red and green, but I accented with black and gold. I chose to use a black matte, so the colors in the photo would stand out. Red under the photo seemed to work best with the red in the photo as well. I did use 2 shades of green, darker at the edges of the page, lighter under the photo, for contrast. The banner is a direct nod to the lights strut around the truck. I loved the black chalkboard tape. It is such a stark contrast, it keeps the eye at the photo. I also dipped the edges in gold glitter. A few added sequin sparkles and sprinkles of gold and green mist and that was pretty much it. Thanks for taking a look at my creative view today. Please join us over at ScrapStuff'z Inspired by and Child's Play Challenges. Show us how you're inspired by our photos.